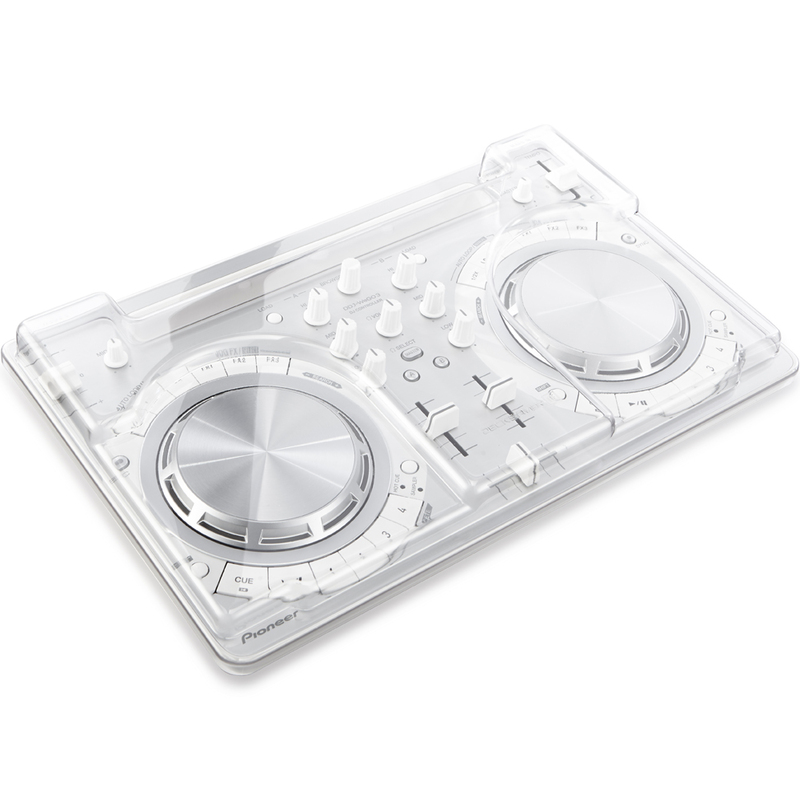 The Decksaver DDJ-WeGO3 Cover is a Light Edition model, still moulded from super durable polycarbonate but reaching you at an affordable price. 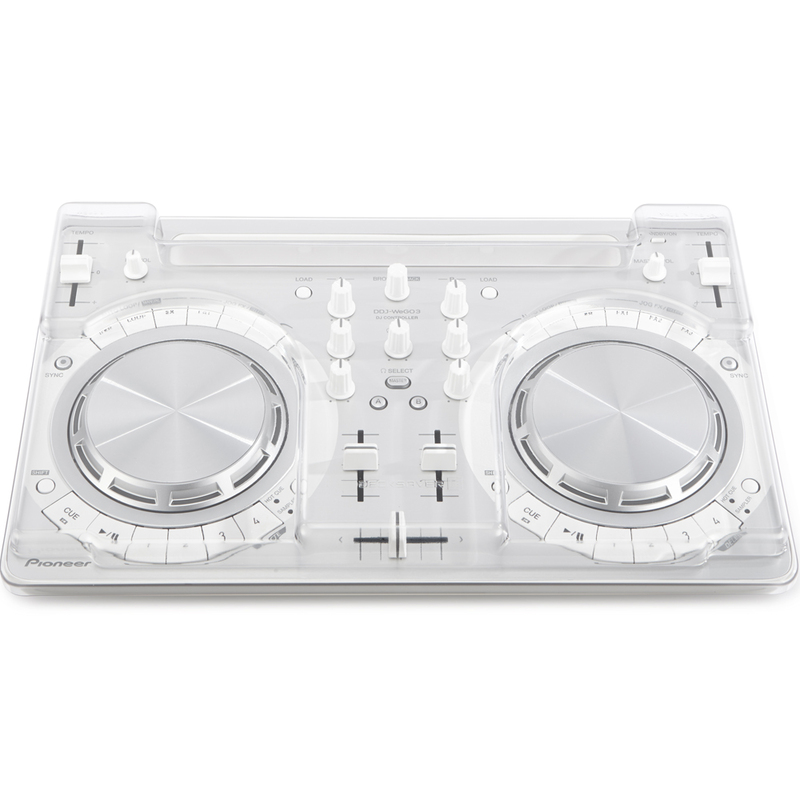 Designed and engineered in the UK specifically for the Pioneer DDJ-WeGO3. 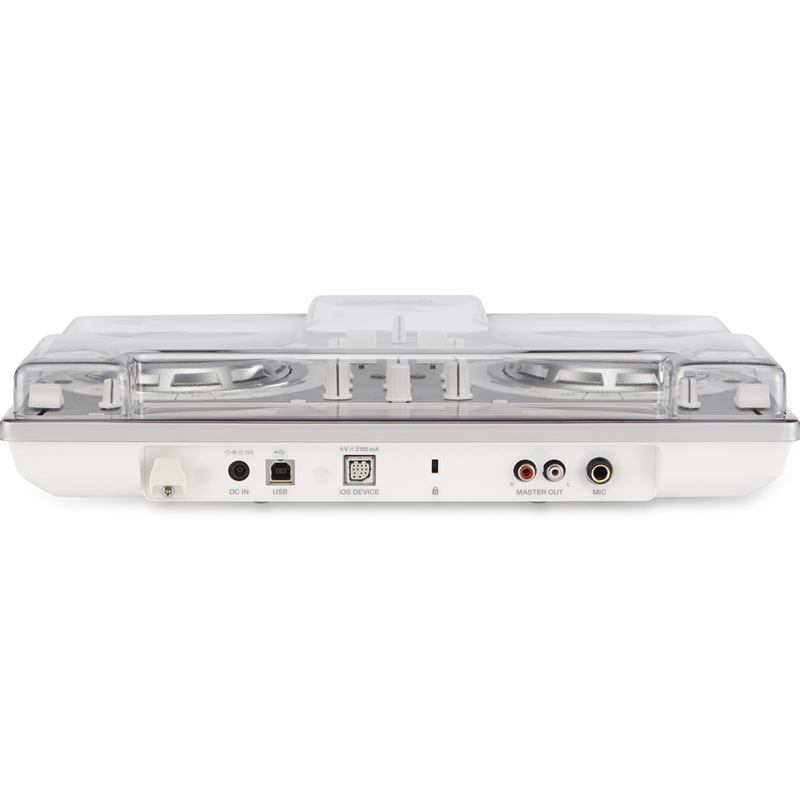 Tough but slick design keeps your controller box-fresh from bedroom to bar and back again. Protects from damaging elements such as liquid, smoke, dust and accidental impact whilst accommodating cables - the WeGO3 can sit ready for operation. Slides straight into a controller bag for added protection on the road, future proofing your hardware. This product is actually quite expensive for what, in reality, is a piece of moulded plastic. However it “does the job”. It fits onto the controller and protects the controls from accidental damage. However it is has no secure fixing of its own and needs to be secured into place as it merely rests In position. I use a padded laptop bag into which the whole assembly snugly slides and is thus held together. Without that I suppose I could use an elastic band, or some masking tape to secure it during transit. So in summary it “does the job” . I would have given five stars if the product actually fixed in place and didn’t just sit loosely on top.